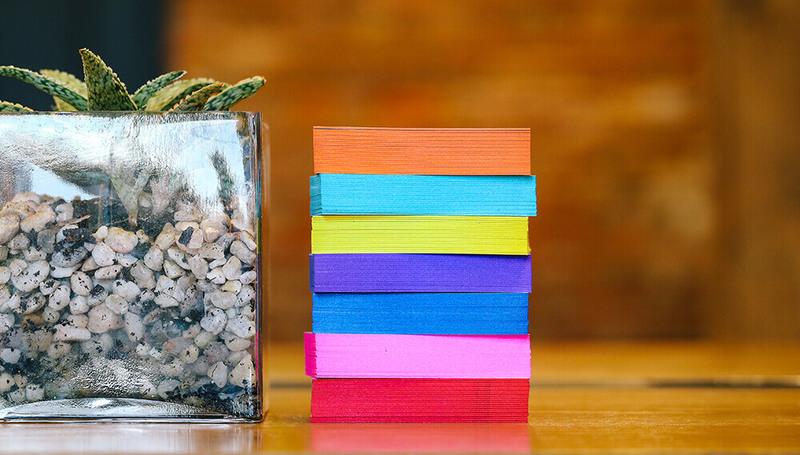 Your custom business cards are an extension of your company, brand and the people behind it. With this in mind, there are several considerations to make when designing your cards. Sometimes these simple networking tools can make a great impression on customers and clients before they get a chance to meet you in person. Their appearance can enhance the credibility of your business and create an image of professionalism. However, a poorly crafted business card can kill business opportunities and reflect badly on your company. Be sure you reflect on everything before going to print. If you need help with a design, we now offer graphic design services for any of our business card printing options. The names that are included on your business card design should typically be the most prominent features. This should include the name of the businesses, or organization, the specific individual, along with their job title. The size and placement of names should involve careful consideration to gain the maximum effect. I.e. should the name of the company be the most prominent or should the focus go to the name of the employee? If your card has a physical location, then an address or mailing address should be on your business card. You could even add a map to the back of your card to give it a unique touch and make it simpler to find your business if most of your business is done in a physical location. If the company is based exclusively online, then this is not necessarily an important feature for the card. If a business person has multiple numbers that are used for different purposes, the most direct line should be listed first. Also, it is a good idea to have the numbers separated by characters such as hyphens or periods to keep them readable. Make sure to be consistent with the style you choose and check the information for accuracy. Your web presence is a vital component of your business, and you want potential customers to have the ability to contact and learn about your company online. Including the company website is essential for an online business and is also a fine move for a brick-and-mortar company. Your own email address is also a necessity for a modern card, while social media links are another way of connecting with your customers and letting them know that you on top of new marketing strategies. A tagline or a concise description of your business can communicate useful information for customers. You can also include a small list of products or services. Adding this interactive feature to your business card design will allow clients to scan it with their smartphone and be directed to your website. The QR code can link to a website, landing page or a video that explains your products or services. 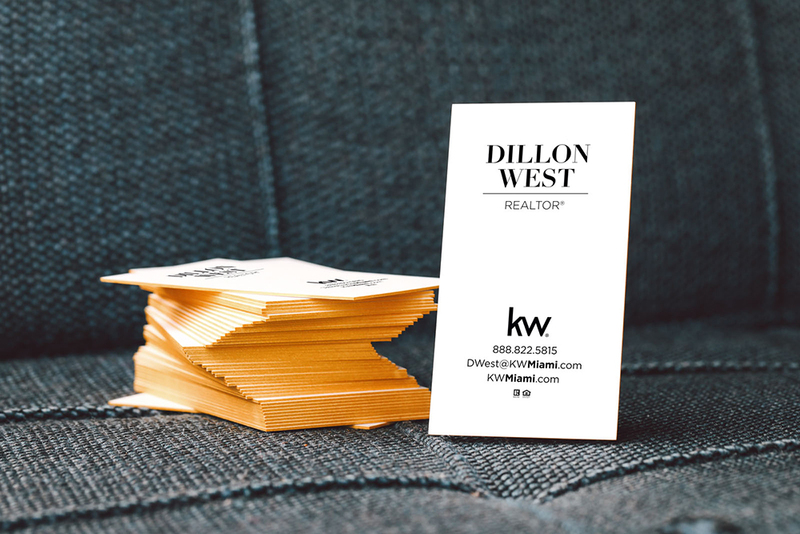 If you have a logo, then using it on your business cards can help you establish your company’s identity and provide customers with a memorable image to relate to it. If your business revolves around selling a product or even several products, you can select a few of the best-selling items and feature them on your business card. 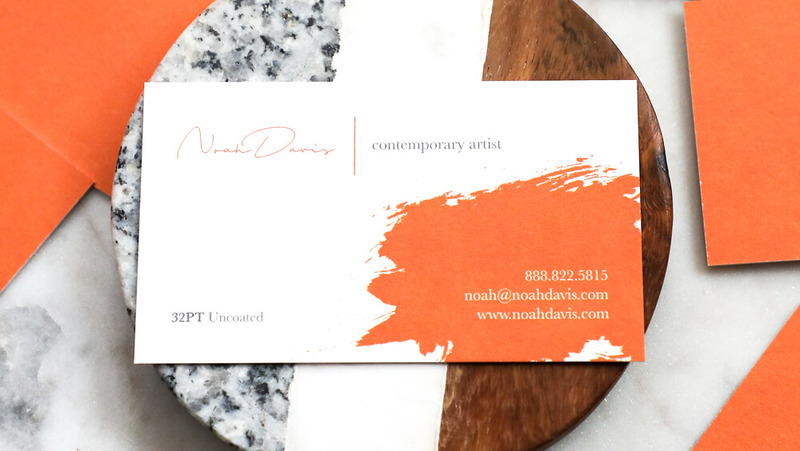 Although a splash of bright colors may make your card stand out, it is not always the best route to take with a business card. Choosing complimentary colors that are pleasing to the eye can add to the professional appearance of your card. Of course, it should be consistent with your logo, and company branding. When you choose the font size and style, you need to make sure that it will be easy to read once it is printed. This includes color choice and the decorative elements on your card such as boxes and lines that can be used to separate information. Printing options can include Spot UV (spot gloss) Stamped Foil, Inline Foil and others that can truly enhance your design. 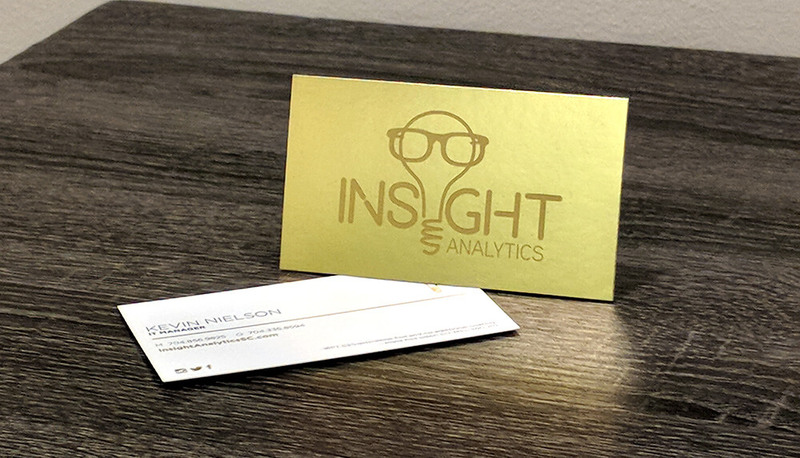 Incorporating useful information and an effective design into your business card can boost your networking prospects and build credibility for your company. Paying attention to the outlined elements above can help you on your way to creating the perfect business card. Have a question or need help with a custom design? Please contact one of our in-house graphic designers.